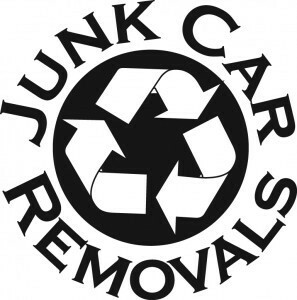 Cash for-Cars offer quick removal of your junk car. Our website welcomes all the makes and models, accident damage, running, non-running, missing parts of vehicles. We also provide you assurance that your unwanted vehicle will be taken care of and put to good use. We offer prompt service for selling of your unwanted vehicle and strive to make this process convenient, hassle free and expedient. We offer some of the highest prices paid for vehicles. Our coverage area is Los Angeles, California and all unit state. However, if you are not within our coverage area we may still be able to assist you. Our company has affiliates nation-wide. We check the value of salvageable spare parts, and we talk to auto auctions, car mechanics, and used car dealers to see can give us the most cash for your junk car. 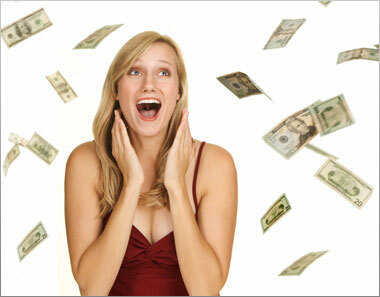 This alone allows us to make the biggest cash for your so called junk car. 1. Submit the request for the vehicle worksheet. 2. Once submitted you will receive a quote for your vehicle within 24 hours. If you have any questions or concerns please visit our faqs and questions page. If you still have not found answers feel free to contact me and I will respond within 24 hours. 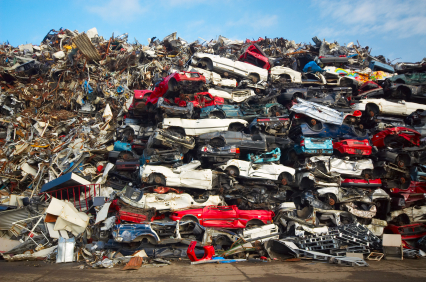 We are experts at extracting value from junk cars, and have perfected our business over the time. Our team of trained car buyers are available from 8am to 8pm, seven days a week provide you service and help your junk vehicle to be removed and getting you cash in return. You can contact us online or give us a phone call and we will respond you as early as possible to serve you better. We are dedicated towards the proper treatment of vehicles reaching the end of their useful lives. Helping to save the planet one car at a time. Our environmentally-friendly process removes and recycles vehicle fluids and hazardous materials and the various parts from your vehicle will be made available to our customers interested in parts for re-use. By recycling vehicles, we all help the environment by reducing the need to create new products from virgin materials which in turn saves energy, water and reduces mining and other production wastes. We Buy Junk Cars Running or Not! in Van Nuys, Encino, Tarzana, Sherman Oaks, North Hollywood, Studio City, Toluca Lake, North ridge, Woodland Hills, West Los Angeles, Venice, Marina del Rey, Calabasas, Beverly Hills, Santa Monica, Malibu, Northridge, Chatsworth, Calabasas, Canyon Country, Castaic, Moorpark, Simi Valley, Thousand Oaks, Burbank, Santa Monica, Long Beach, Beverly Hills, West Hollywood, El Monte, Glendora, Monrovia, Hawthorne, Marina del Rey, Santa Ana, Downey, Hacienda Heights, Yorba Linda Agoura Hills , Altadena , Arcadia , Belmont Shore , Beverly Hills , Burbank , Calabasas , Carson , Catalina Island , Culver City , Dockweiler Beach , Glendale , Hermosa Beach , Hollywood , Inglewood , Long Beach , Los Angeles , Malibu , Manhattan Beach , Marina del Rey , Monrovia , Naples , Norwalk , Palos Verdes Estates , Paradise Cove , Pasadena , Playa del Rey , Pomona , Rancho Palos Verdes , Redondo Beach , Reseda , Rodeo Drive , San Marino , Santa Monica , San Pedro , Sherman Oaks , Signal Hill , Silver Lake , Torrance , Universal City , Venice Beach , West Hollywood , Westlake Village , Watts , Whittier , Alhambra , Arcadia , Artesia , Avalon , Azusa , Baldwin Park , Bell , Bellflower , Bell Gardens , Beverly Hills , Bradbury , Burbank , Calabasas , Carson , Cerritos , Claremont , Commerce , Compton , Covina , Cudahy , Culver City , Diamond Bar , Downey , Duarte , El Monte , El Segundo , Gardena , Glendale , Glendora , Hawaiian Gardens , Hawthorne , Hermosa Beach , Hidden Hills , Huntington Park , Industry , Inglewood , Irwindale , La Canada Flintridge , La Habra Heights , Lakewood , La Mirada , Lancaster , La Puente , La Verne , Lawndale , Lomita , Long Beach , Los Angeles , Lynwood , Malibu , Manhattan Beach , Maywood , Monrovia , Montebello , Monterey Park , Norwalk , Palmdale , Palos Verdes Estates , Paramount , Pasadena , Pico Rivera , Pomona , Rancho Palos Verdes , Redondo Beach , Rolling Hills , Rolling Hills Estates , Rosemead , San Dimas , San Fernando , San Gabriel , San Marino , Santa Clarita , Santa Fe Springs , Santa Monica , Sierra Madre , Signal Hill , South El Monte , South Gate , South Pasadena , Temple City , Torrance , Vernon , Walnut , West Covina , West Hollywood , Westlake Village , Whittier ,and Southern California Cities.